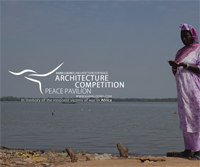 The objective of this contest is to create a symbolic structure commemorating the victims of the African wars, one that can spread awareness among local and international communities, creating a commemorative and educational space, with respect for the environment and for local traditions. Eligibility The only requirement is one under 35 on the team. The area in question was scarred by the Casamance conflicts which, despite having ended approximately a decade ago, left an indelible stain on the community’s memory. Villages were burned to the ground and many families were forced to flee to other countries or cities in search of safety. As in the case of the aforementioned conflict, many are the humanitarian disasters that, due to cultural or religious differences or in an effort to grab Africa’s resources, have caused millions of deaths and created innumerable refugees. Many of these conflicts, despite their devastation, are ignored by the international community and occasionally, due to the lack of communication on the African continent, remain unknown even among African communities themselves. Past events, albeit tragic, must inspire us to build a world based on peace, equality, and solidarity. Commemorating the victims of African wars through the value of peace is a fundamental step in building an inclusive and cohesive society, so that such events may never be repeated in the future. The focus of this competition is to create a pavilion for the promotion of universal peace which inspires contemplation, reflection, and prayer for those who unjustly lost their lives. The architecture of the pavilion must create a multifunctional space in which it will be possible to mount permanent and temporary exhibits by artists who share the values of peace and historical memory, but also a place where individuals can retrace and learn about Africa’s history through photographs and documents. Knowledge and sharing are essential elements for transforming the pavilion into a beacon of awareness. Furthermore, an area will be created in which to contemplate what happened, by praying for the victims or reflecting on the past, immersed in a metaphysical space that gives proper significance to memory. The pavilion will be open to the public and accessible to everyone. It will respect all cultures, genders, and religions.